This is the official event-page. Here is our own event-page. For the first time, French National Day on 14th July is celebrated in Luxembourg too with an official big party at Place Guillaume (Knuedler). 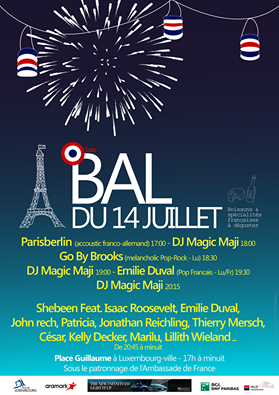 The event is organized by the association “Bal du 14 juillet a.s.b.l.” created by the 4 advisers of the french consul in Luxembourg: Carole Biot-Stuart, Monique Dejeans, Alexandre Chateau-Docos et Bruno Théret. There will be the main bands “Stereo Total“, an acoustic duo, as well as the band “Shebeen“. 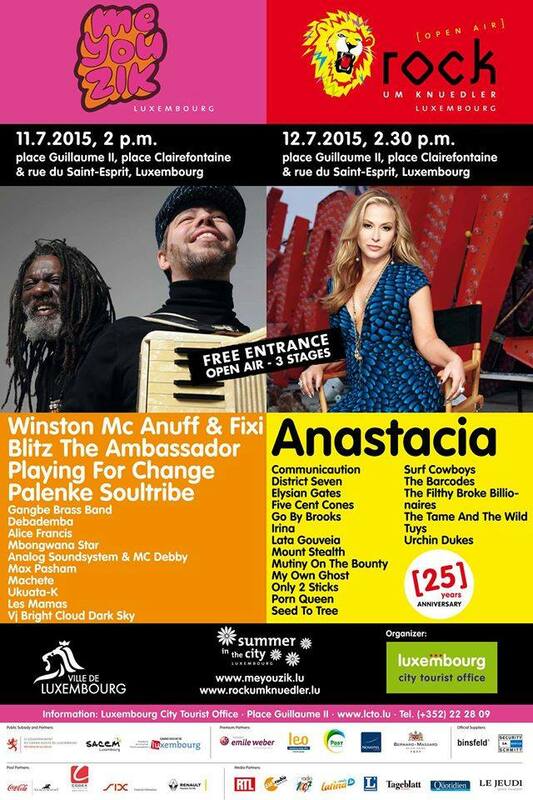 10 other artists will perform at Knuedler (Place Guillaume) that day. Go By Brooks will perform at 18:30. 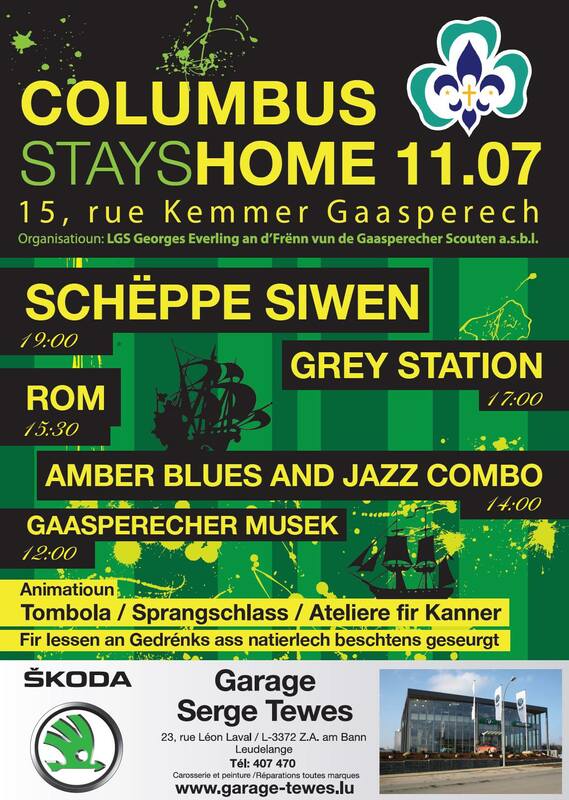 Be sure to stay afterwards as our guitarist Nicolas and our bassist Sacha will perform at 19:30 also with the Emilie Duval band.